In conjunction with the Climate Change Summit gathering in San Francisco between September 14-16, 2018, the Dominican Sisters invite you to join us in learning more about the implications of climate change on our earth community and our role in responding to this crisis. This is our final video of our three Monday Night Movies on different topics that offer us information on three affected areas. 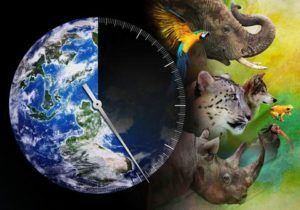 Filmmaker Louie Psihoyos, along with activists, scientists and others, draws attention to mankind’s role in a potential loss of at least half of the world’s species. The Endangered Species Act is the last resort for many species to avoid extinction. Members of Congress are disregarding science and proposing bills to slash the Act. But, there is something powerful you can do as an individual to protect species from disappearing forever.